Black & Decker Wide Mouth 10-Cup Food Processor Just $24.97! Down From $60! 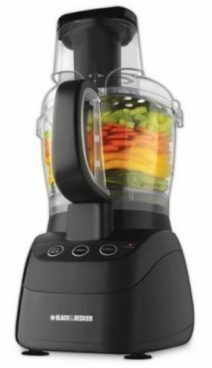 You are here: Home / Great Deals / Amazon Deals / Black & Decker Wide Mouth 10-Cup Food Processor Just $24.97! Down From $60! Black & Decker 10-Cup Food Processor Just $24.97! Down From $60! I love this deal! I love gadgets – even in the kitchen :p! You can get this Black & Decker (so you know it’s good quality) wide mouth 10 cup food processor for just $24.97! That’s down from $60! Better hurry., too, they are selling like hot cakes and will sell out!